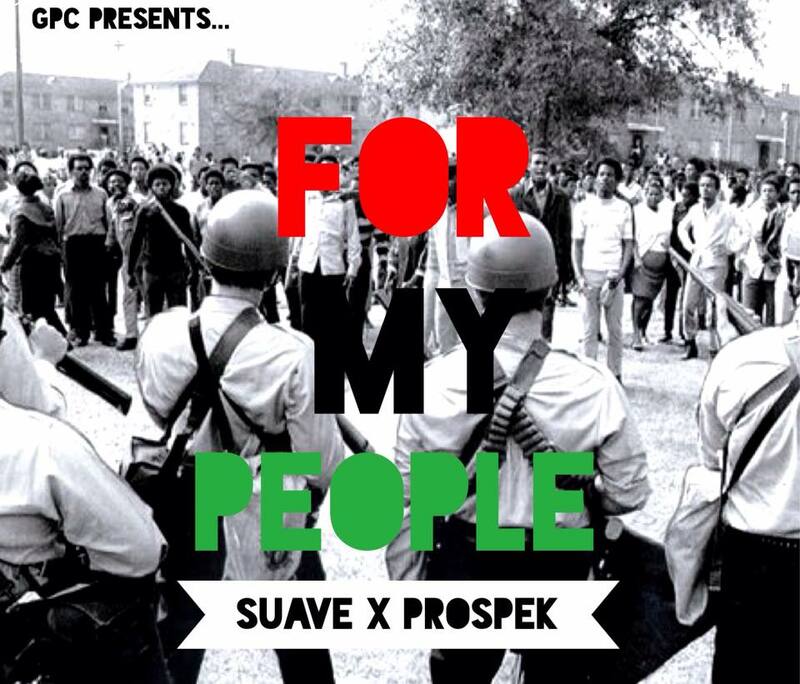 Hip Hop Soul and Funk duo, Suave x Prospek are back with the leading single for their upcoming album, Politics of Love and Life. These New Orleans natives, recent Cincinnati transplants, and Guerilla Publishing Company (GPC) co-founders bring their award-winning blend of live, funky drum breaks, soulful melodies, and social awareness to the topic of unity among the masses. “For My People” serves to empower the independent artist community and those impoverished (especially in the the state of Louisiana) to mobilize against generational political corruption. It serves as a call to action and solidarity for those seeking equality and freedom in and out of the music industry, as well as a cease and desist letter to opportunistic music executives. And, most poignantly, it’s a notice to Louisiana Governor Bobby Jindal and his statewide political machine of corruption that their divisive tactics won’t work against a growing population of conscious young artists and their contemporaries. The song is combined with a short excerpt from a speech given by Angela Davis in 1975 on the empowerment and fair treatment of oppressed people of the Unites States. The picture, taken on November 19, 1970 by the N.O.P.D., property of, Times Picyune. Produced and Composed By: Prospek of The Guerilla Publishing Co. Engineered, mixed, and Masted By: Prospek of The Guerilla Publishing Co.